One of the first challenges out of the mouth of the skeptic when confronted with the Gospel is often a demand for proof that God exists in the first place. But when you get down to it, the challenge is exactly backwards - on every level. First, there is the problem created for the atheist if God doesn't exist. If there is no Creator, then we came from nothing. You see, that's a problem. The one thing that we know does NOT exist in the physical universe of the atheist is nothing. What Descartes was pondering when the bombshell hit him was what he called the ultimate level of skepticism - he had even begun to doubt his own existence. But I have convinced myself that there is absolutely nothing in the world, no sky, no earth, no minds, no bodies. Does it now follow that I too do not exist? No. If I convinced myself of something [or thought anything at all] then I certainly existed. But there is a deceiver of supreme power and cunning who is deliberately and constantly deceiving me. In that case I too undoubtedly exist, if he is deceiving me; and let him deceive me as much as he can, he will never bring it about that I am nothing so long as I think that I am something. So, after considering everything very thoroughly, I must finally conclude that the proposition, I am, I exist, is necessarily true whenever it is put forward by me or conceived in my mind. 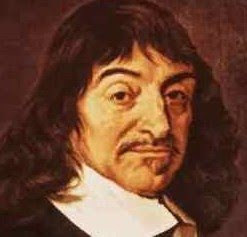 Descartes disproved the existence of nothing philosophically whereas both science and common sense disprove the existence of nothing in the material world logically. Nothing does not and cannot exist. To simplify it even more, nothing is the absence of something - it cannot exist independently. We live in a material universe. Even the vacuum of deepest space is something - it's vacuum. Vacuum can be observed, it can be experimented with and it can be rationally analyzed. What is known about vacuum scientifically is that it is essentially empty of matter such that it's gaseous pressure is much less than atmospheric pressure. But the notion of a perfect vacuum with a gaseous pressure of zero is only theoretical - it has never been observed, nor empirically proved to exist. But the entire argument from the point of atheism is that nothing - which cannot exist an a material universe - is responsible for the existence of the material universe. The Big Bang Theory says the universe is in a state of expansion. If it is going forward, then reversing the process brings us back to that point in time when the universe exploded into existence. Before that, the Big Bang theory argues, there was nothing - no vacuum, no empty space, just nothing - a theoretical impossibility. That is the skeptic's burden. On the other hand, the existence of God is, at the minimum, at least theoretically possible. And the existence of God accounts for what was there before the "Big Bang" in accordance with the Law of Causality. The skeptic's burden is to disprove the Law of Causality applies to the Big Bang - that is, the Big Bang was caused by nothing, from which the material universe sprang into existence - from nothing and because of nothing. That's a pretty tall order, given that the basic premise upon which the entire argument rests demands assuming the most logical explanation - the existence of nothing - a premise that violates every known law of science. A skeptic cannot prove God does not exist, because that demands proving a negative. God could exist, therefore it cannot be proved He does not. Conversely, nothing cannot exist, a philosophical, scientific and logical principle long since established to be true. The heaviest burden of proof isn't on the Christian - he has the only logical argument that has a leg to stand on. And that's certainly better than nothing. The more science learns about our universe, the more scientists are reluctantly forced to acknowledge the existence of Intelligent Design. That the universe demands a Designer as obvious as a wristwatch requiring a maker or a dictionary requiring an editor. Then there is the existence of human conscience to both consider and explain. It exists as an inner voice that allows the person to follow his best judgment and highest instincts. It is unique to humanity, and it is that conscience that demands to know about God. The skeptic's blanket statement that God does not exist stands as sufficient testimony to the truth of the Psalmist's words. So do all of the skeptic's arguments, when broken down into their component parts. To begin with, none of them are in support of their own position, to wit; "nothing is responsible for creation." They can neither defend nor explain the existence of 'nothing'. Instead, the skeptic's argument MUST come in the form of an attack on Something, to wit: a Creator God. But even then, they cannot launch a direct attack on the existence of a Creator God since they have 'nothing' to use to prove their position, so instead, the attack is centered on what you believe about God vs. what they believe about God. Because make no mistake, they also believe in God in some sense, or logically, there would be nothing upon which to base the discussion. They just don't want to believe and are seeking justification for that disbelief. The atheist needs to sucker you into the positive position of proving God exists, because he cannot prove the negative proposition. Have you ever been in a debate about God in which you didn't find yourself trying to prove that God exists? The skeptic's argument doesn't offer alternative answers - it only raises questions in the hope you can't answer them either. Why is that? It is the atheist whose proposition demands positive evidence, since his proposition demands a belief in the existence of nothing. Not an absence of knowledge, but a positive declaration of certainty in the existence of nothing. There are libraries full of books attempting to prove the existence of God or to argue against the existence of God. There aren't very many books that attempt to prove the existence of nothing. The very concept of nothing is something. Since the concept of nothing is itself something, the existence of nothing is therefore disqualified. Cogito ergo sum - I think therefore, I am. Does God exist? Well, if He didn't, then there would be nothing to debate. And nobody debates about nothing.